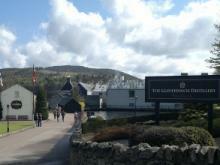 Just north of Dufftown, the Capital of Whisky, sits Glenfiddich Distillery, home to the most popular single malt whisky in the world. 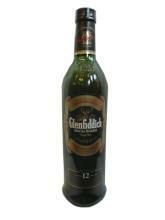 Family owned, at the same time Glenfiddich is one of the giants of the industry. It is now run by the fourth generation descendants of founder William Grant, who with his family built the distillery back in 1886-7. 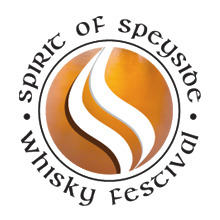 The Spirit of Speyside Whisky Festival this May (3rd-7th) is a momentous occasion in the whisky calendar that attracts some 50,000 whisky drinkers from all over the world during its five days of dedicated workshops, tutorials, tours, instruction, nosings and tastings, which take place in and around the 50-plus distinguished distilleries that the area can lay claim to. This is a fine whisky to give to a whisky novice. It's a light and easy malt, with plenty of fruit – pears – and a floral streak (a splash of water really brings this out beautifully). 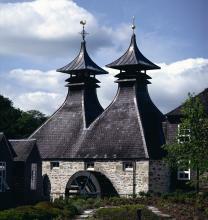 To taste it's soft and easy, with more of the pear character and the merest hint of woody character from the casks. The number one malt in the USA, but an easy going whisky like this is always popular and very good to drink as an apéritif. A classic Speysider, where every element is in balance. So you smell and taste heather honey, contrasted with malty notes, and complemented by sweet spices. The woody flavours and sherry influence are there, but never dominating. The honey becomes more prominent in the finish, leaving a long aftertaste with a suggestion of waxy honeycomb. Such great balance makes for a versatile whisky, good at any time. This is such a smooth malt to drink that it's easy to miss the complex sophistication. The nose is fruity, in a light citrus vein, and there's just a suggestion of cloves. The palate is sweet with citrus and tropical fruit, and a peppery note, as if someone has dusted grilled bananas with freshly ground black pepper, and then – watch carefully now – the fruit gracefully retreats, leaving a dry malty aftertaste. A whisky for quiet contemplation. The definitive article tells you how highly regarded this whisky is – indeed, it's the classic example of a sherried Speyside. There's plenty of sweetness on the nose, in a heather honey style, alongside powerful sherry notes. More sweetness to taste, and combined with the sherry it's pleasantly reminiscent of trifle, as the fruitiness comes through towards the finish. A great after-dinner malt or digestif. 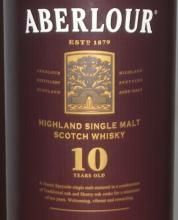 Aberlour is a fruity, spicy malt, with a light seasoning of sherry flavours. The nose has hints of tangerines and oranges, with plenty of toffee. The palate gives more of the tangerine, plus lots of warm spices like ginger or cinnamon. 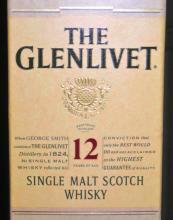 The most popular malt whisky in France, this is an easy bed-time whisky.